After reaching the 1 year anniversary of Hootenanny and adjusting to working around my sweet baby girl's schedule, I am finally making some additions to my color samples and designs. I’m so excited to add several new color samples to Hootenanny Distressed Picture Frames. The other colors aren't ready to be revealed yet but I couldn't wait to introduce a color that is HOT in fashion right now. I'm ordering these jeans right away!!! 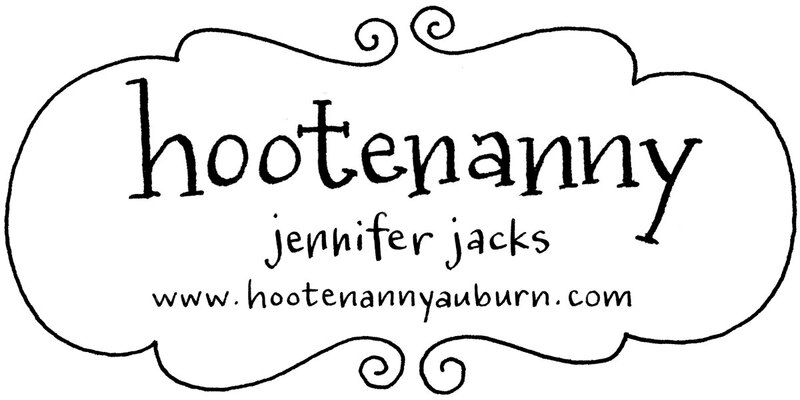 If you follow the Hootenanny blog or Facebook page you know that a winner for the giveaway is going to be announced today! Cheers! 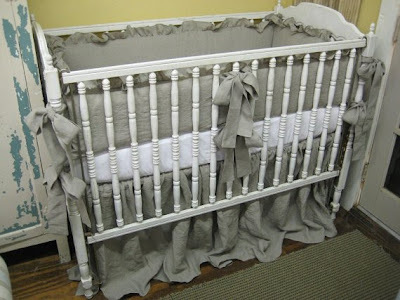 The winner will win a 4x6 distressed frame in his or her choice of paint colors and design. Contact me through Facebook or email to claim your frame and tell me how you want to design it. 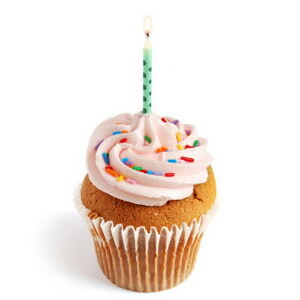 It's our one-year anniversary this month! 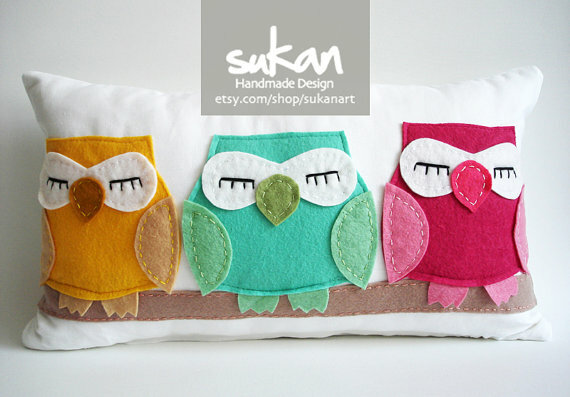 To celebrate we're offering 10% off any order (including our Etsy shop) starting today and ending on March 31, 2012. 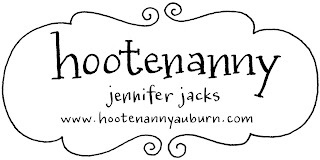 To make our celebration even more exciting, click on this link to become a Hootenanny Facebook fan and between now and March 31 you will be entered in our giveaway to win this 4x6 frame...or actually a frame this size but you get to design it...you get to choose your colors/design. The cut off deadline for custom orders for Christmas gifts is this coming Saturday, December 3, 2011. If you’re thinking about giving those special friends and family members something unique and handmade get your orders in quick! 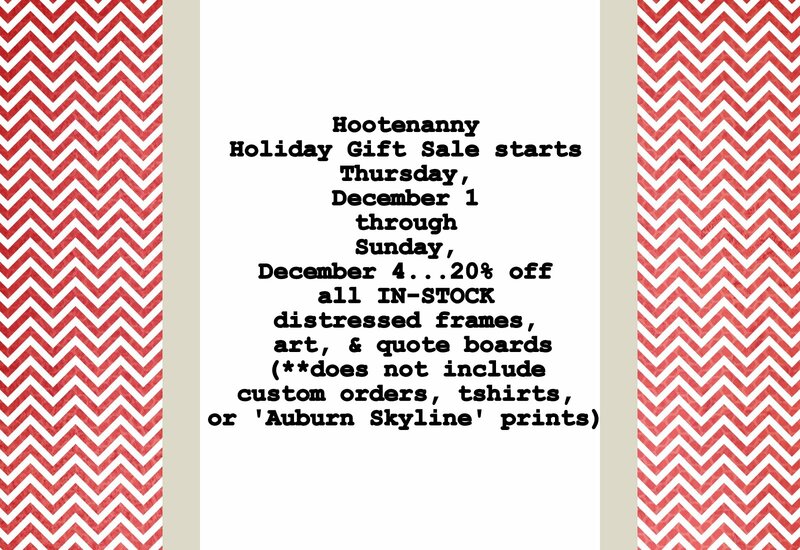 Some of the ideas below are in stock and are eligible for the Hootenanny “in-stock items only” sale starting Thursday, December 1, and some of the items are not in-stock and therefore considered custom since they will have to be made from scratch. Hurry, the clock’s a tickin’! 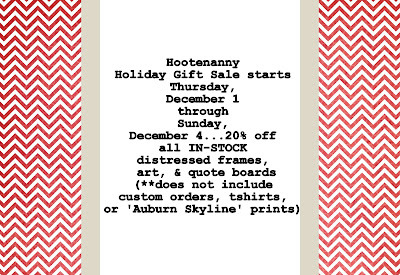 20% off IN-STOCK items only...does not include custom orders...go to the Hootenanny Etsy store December 1 for a listing of in-stock items. I have 5-6 weeks left before this baby arrives and I still haven't started painting and decorating the nursery...needless to say, I'm getting slightly stressed! 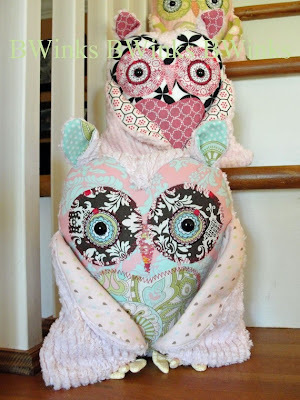 My fall gift show, custom orders, wholesale orders and new room addition have taken front stage and the nursery has been last on the list. 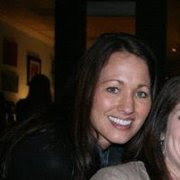 We are finally going to get started this week so I finally made it over to Benjamin Moore to choose paint samples. Once I narrow down a color, I can get the ball rolling...and fast! This was the bedding I was originally in love with but the price was a little too high...doesn't it look dreamy...I ordered the velvet blanket in a pale pink instead. This is one of the many rooms inspiring my choices...I had a hard time deciding between a more modern nursery versus a prissy traditional nursery...I'm going to try to mix the two together...the overall theme is very light with a slight vintage feel. I love these pillows...I need to narrow my choices down!! 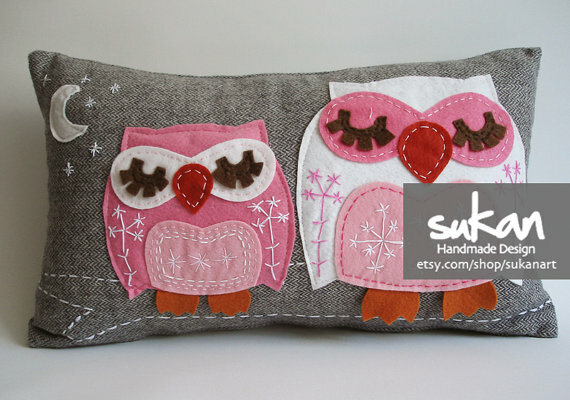 Can you tell I am currently loving owls! I still have to narrow down my final wall color, find an upholstered rocker, a dresser, a side table, and window treatments!